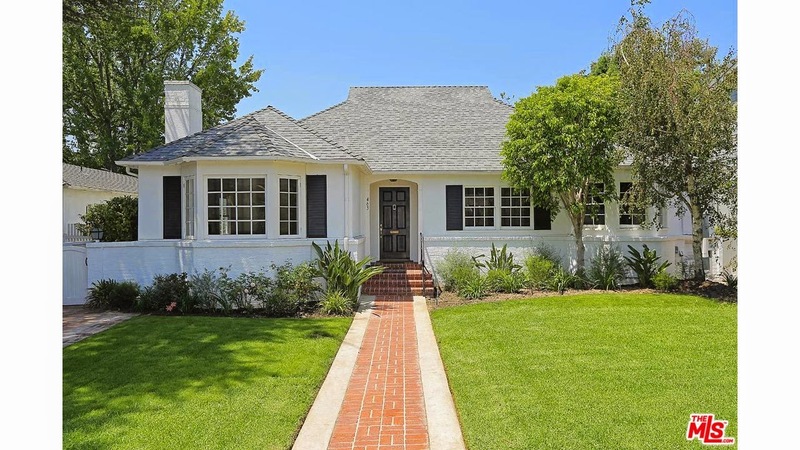 The Westwood Hills home at 463 S Bentley Ave, LA CA 90049 received a price reduction of 2.18% or $50,000, down to $2,245,000. Listed August 6th, 2014 for $2,295,000, this is the 1st price reduction of the listing term. This 40's single story traditional looks to be mostly remodeled and in move-in condition. This is a rather large flat lot with just under 10k feet, which is not very common for the Westwood Hills neighborhood. There is also a huge guest house in the rear of the lot. I haven't seen a guesthouse this large in the neighborhood either. According to the MLS, the home is a 3 bedroom / 4 bath, 2,532 sq ft of living space on a 9,827 sq ft lot.